At the beginning of September 2018, Mahindra launched its Marazzo MPV car to take on the ruling Innova Crysta in the segment. The new Mahindra Marazzo MPV touted as the best multi-utility vehicle from Mahindra stable. Not to forget, Mahindra & Mahindra had recently acquired Italian car designer firm – Pininfarina. The legendary Italian coachbuilder and design house and the manufacturer have worked hard to make Marazzo standout in the crowd. How good is this car and should you buy this MPV? Find out through this review! From the front to the back, and especially in its alloy wheels the aggressive-powerful shark look can be felt. The view of side profile, front and back look lets you believe that the company has put up hard work in making its appearance attractive. Mahindra Marazzo is offered in four variants- M2, M4, M6, and M8. M2 is the base variant while M8 is the top variant of Marazzo in India. The top variant of compact Mahindra MPV also receives 17-inch alloy wheels. 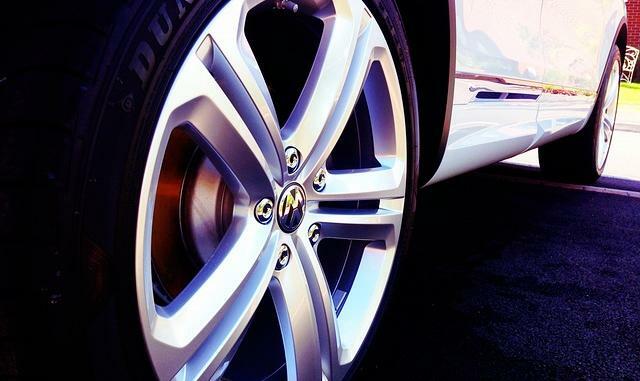 The alloy wheels have less weight, quicker acceleration, faster stopping and looks cool as well! The SUV uses nice quality plastic in the cabin with an impressive fit and finishing. The car features with a stylish hand-brake lever which resembles that of an aircraft. The new Mahindra Marazzo car has ample utility spaces such that all seats get bottle holders. If we talk about the price positioning, this 7/8-seater MUV places itself between Maruti Ertiga and Toyota Innova Crysta. The new Marazzo is better than Ertiga MPV when we compare the spaces. In fact, the car’s spacious interior well competes with Innova Crysta. The third-row seats in Marazzo are even better than Innova. 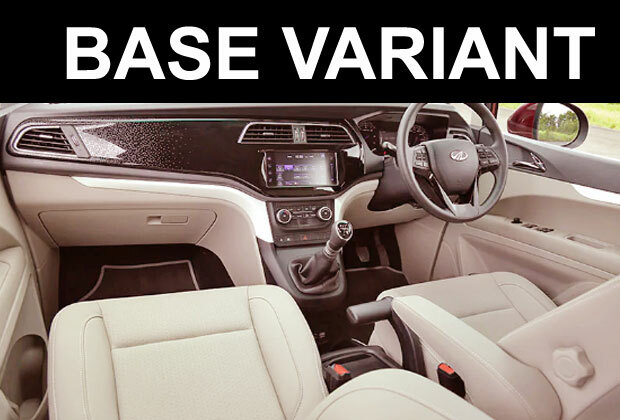 This vehicle is available in two seating options – a 7-seater and an 8-seater configuration. In the base variant (M2), you get 7 passenger seats. In fact, the third-row seats have only 2 chairs. The second-row windows in Marazzo come with a ‘first in class’ built-in sunshade feature, which can be pulled up to stop direct sun rays. Mahindra states that this should help in providing privacy to second-row occupants, as also help protect them from harsh sunlight considering the ban on dark films. 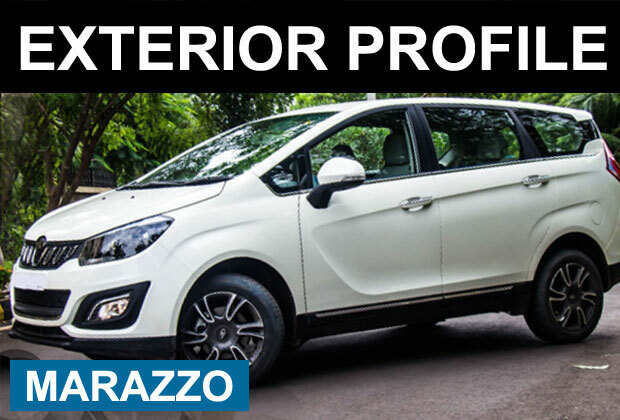 Unlike most other 7 seaters cars in India, Marazzo can well accommodate three passengers in its third row, due to its comfortable leg room and head-space. 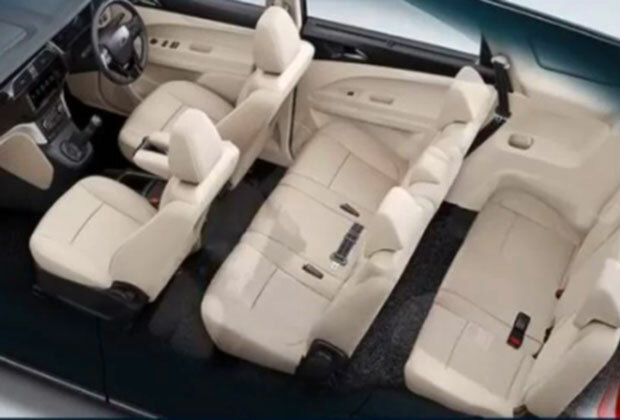 The seats of the third row in Mahindra’s MUV is easily accessible. The rear passenger side door in the SUV easily tumbles down to make a way through the flat floorboard of the car. The third-row seats have also been given space for bottle holders on the doors. However, the level of comfort in the first and second row is yet more than the third row of the car. The boot space of Marazzo without seats folded is 190 liters. If you fold both the second and third-row seats, a massive 1055 liters of space can be created inside the cabin. 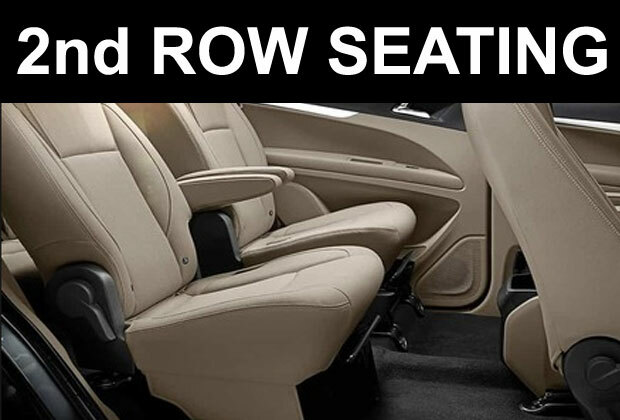 By only folding the third-row seats, you get a space of 680 liters in the car. 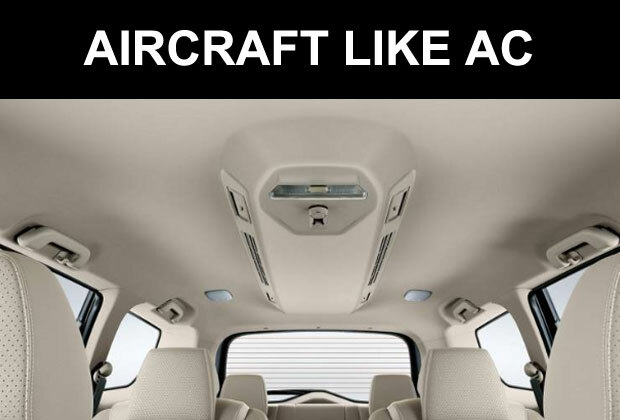 One of the best features of Marazzo car is its roof mountain air-conditioning system for the second and third row of seats. It resembles like the one we used to see in the aircraft. The rear ac comes with a function called a diffused mode which cools the cabin using oscillatory motion without throwing cool air on your chest. This is also a new feature in this segment. 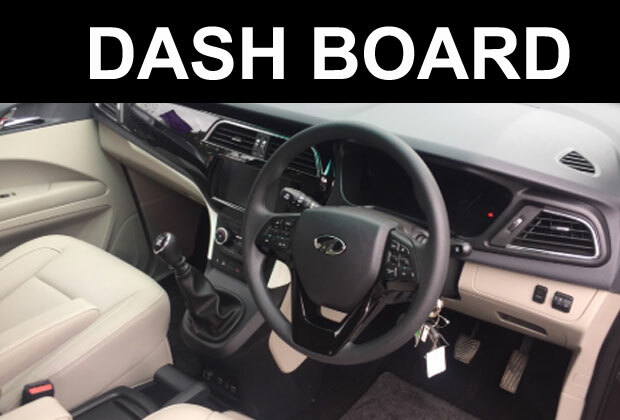 The dashboard has been given a 7-inch touchscreen infotainment system which supports Android Auto and Apple CarPlay for connectivity. The touch-screen also works as a display screen for the reverse parking cameras of the car. The car’s cruise control feature proves to be very useful for long-distance travel. The car has been given dual airbags, ABS-EBD and the disk brake on all its wheels. Marazzo M2 is the base variant of the MPV and misses out features that are included in the top M8 variant. Let us find out what is not given in M2 variant but in M8. – The absence of an audio system. – rear parking sensors and defoggers absent. In M4 mid variant, these features along with electric ORVMs are present but remote keyless entry is still missing in that trim as well. However, M4 trim is about 1 lakh expensive than M2. The other important thing to note that you can make M4 7 seater Marazzo to an 8 seater vehicle. But in the M2 base variant, Mahindra has given no such option. 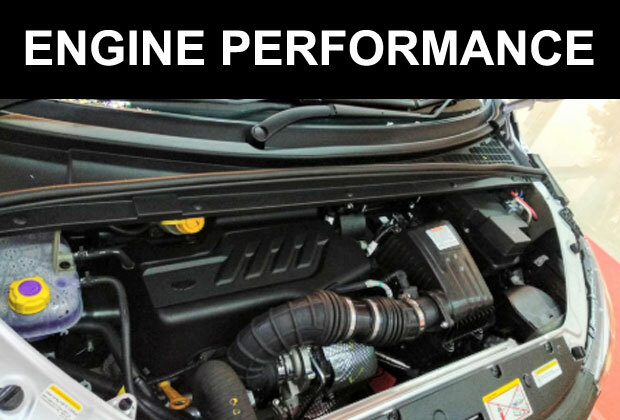 Mahindra Marazzo’s new D15 engine delivers 121 bhp horsepower and 300Nm of Torque. The engine has a displacement of 1497cc. So, when driving, you will not feel the lack of power from this engine. Whether you are driving on highways, or a rugged terrain there is no issue with overtaking or cruising this car. The diesel version vehicle has an impressive ride and handling. Overall, the refined diesel engine of Mahindra Marazzo gets full marks for its power, smoothness, and mileage. It has an impressive ground clearance of around 200mm, which can go past most kinds of bumpy roads. Marazzo has a minimum turning radius stands at 5.25 meters which seems sufficient for traffic conditions. The long wheelbase (2760mm) in Marazzo adds greater stability while driving. Mahindra & Mahindra has not unveiled the AMT and petrol version of Marazzo. Mahindra Marazzo is also the first front-wheel-drive vehicle with a ladder-frame chassis to have a transversely mounted engine. This basically means that the crankshaft of the vehicle’s engine lies perpendicular to the direction of travel. Unlike the ladder frame design, Mahindra uses a new type of chassis, which behaves like a mono-shock chassis vehicle. The chassis design gives it ride quality, handling, and stability. Marazzo can travel a decent range with a fuel tank capacity of 45 liters. 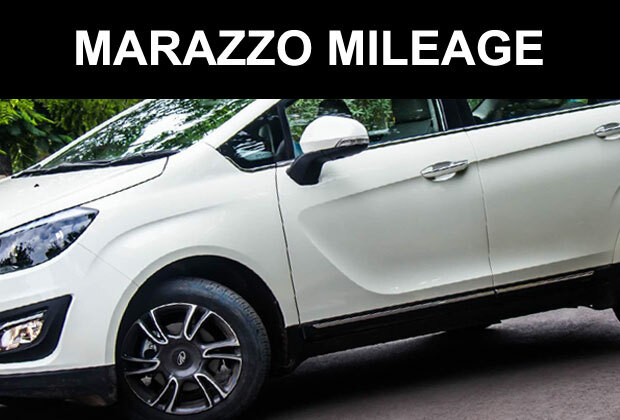 The ARAI mileage for the Mahindra Marazzo diesel is 17 km/l. The Eco mode in Marazzo equips the compact MPV to reduce the engine power output to 100PS, helping the car raise its mileage efficiency. The Eco Mode is only available in the top variant of Marazzo. However, most real-world experiences have shown that it barely delivers mileage up to 15kmpl. Mahindra Marazzo is touted as a cheaper alternative to the Toyota Innova Crysta. The was unveiled with initial prices starting at Rs 9.99 lakh and going up to Rs 13.90 lakh depending on variants. The company also plans to hike this price by Rs 30,000 to Rs 40,000 from January 1, 2019. Captur vs Creta review-Who has an upper hand !